In ‘Being Grateful is Cool’, the author shows us why it’s essential to learn the meaning of gratefulness and acknowledge the kindness of others. 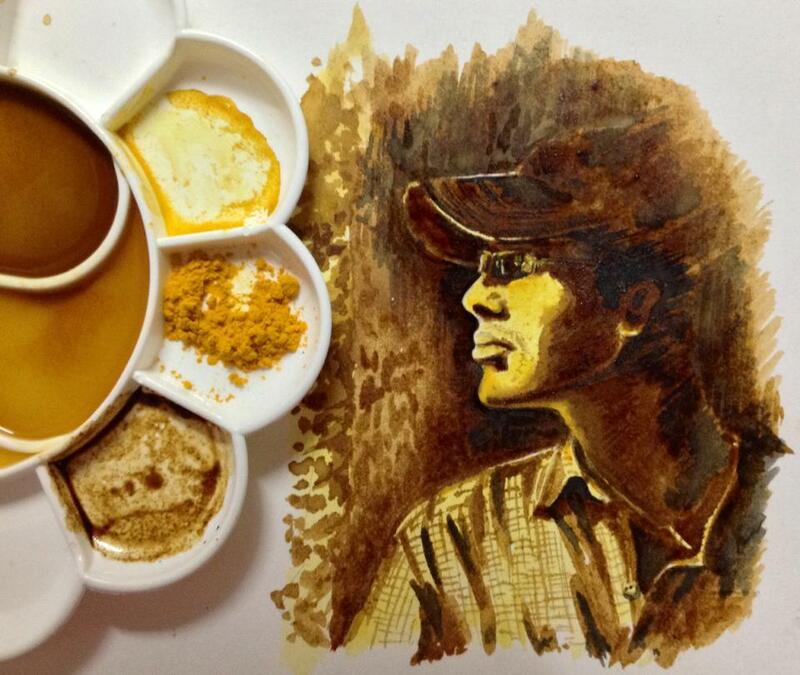 This is another one from my current obsession with coffee art. before the one who chooses not to hear. Coins clinking, conch shells screaming! to the one who chooses not to smell. for the one who chooses not to see. of the one who chooses not to taste. of the one who chooses not to yield. Mumbai Mirror published this photograph on September 1, 2013 (India on Instagram). The shot was hurriedly taken near Dadar station’s booking counter, trying to make it in time for a train to Neral station. 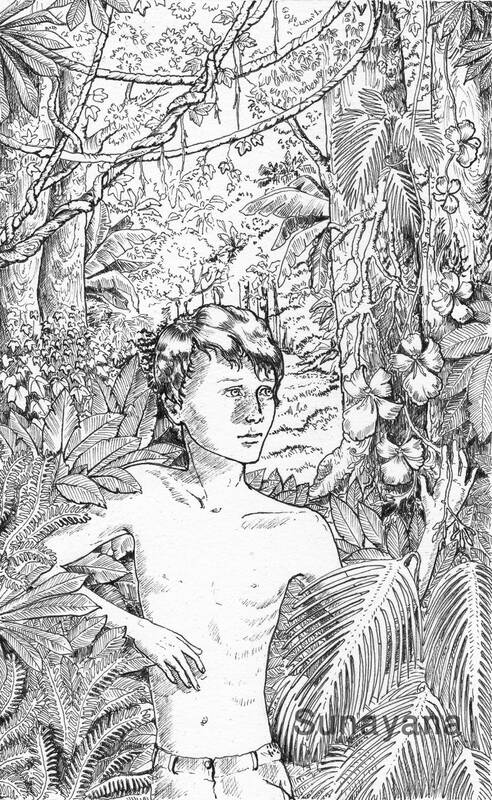 In 2013, Orient BlackSwan Publishing, erstwhile Orient Longman India, asked me to illustrate an annotated version of William Golding’s tragic classic Lord of the Flies. Unfortunately, I was not acquainted with the story and never read it as part of my school or college literature studies. The title hovered somewhere around my peripheral memory. Drawing from mere excerpts would not have done justice to a good classic. I had little time to read the book, so I chose to research online and stumbled upon the movie. It was a quick breeze and served my purpose well. That is not to say you can miss reading such a poignant tale of human depravity and conflict. It’s gory, ruthless and terribly harsh on one’s sensibility. LOTF is about a group of young boys marooned on a tropical island who go on to form a social structure of their own. In the face of adversity, survival takes precedence over all else, turning the boys into heartless savages. This book is definitely on my long pending list. Speaking of the artwork here, I was assigned four specific areas in the book to create two-coloured, pen and ink with watercolour illustrations. 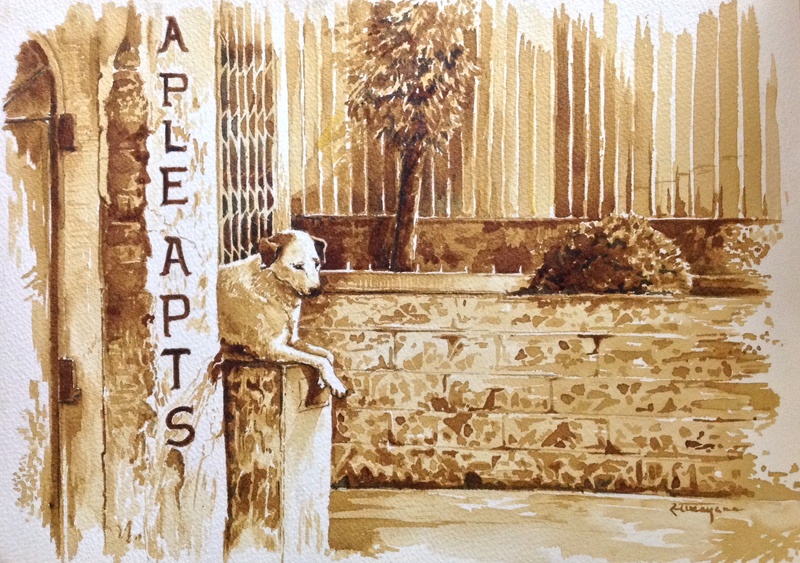 I decided to skip watercolour for a more high-contrast, old-world style of sketching. This piece is my personal favourite. It shows Simon, a very sensitive but sickly boy, exploring the forest on his own. His character is beautifully described in the book – perhaps the only one who is free of depravity in the entire story. Graphic, gory details were forbidden because it was targeted at 10th graders. That was a challenge for a book whose various covers show a rotting pig’s head on a stick, which serves as a symbol throughout. I kept to the requirements though, and much as I’d have liked to work on certain other parts of the book, I enjoyed putting these four illustrations together. I can only hope that this book sees the light of day.